Commentator Paul Gosling analyses suggestions being put forward in the event of Theresa May's Brexit deal failing to win the support of MPs in the House of Commons in January. A ‘no deal’ outcome to Brexit has become more likely as a result of Theresa May’s failure to win the House of Commons over to her negotiated withdrawal agreement. While most MPs are against a ‘no deal’ situation, the absence of a majority behind any specific solution means that no deal could become an unintended or ‘accidental’ result. Of course, the withdrawal agreement is merely the arrangements for divorce, not the details of the future relationship. But it does provide hints as to the type of future relationship preferred by Theresa May. Under May’s proposal, the direction of travel would seem to be a continued customs union-type trade deal, with the UK continuing to have a close connection to the single market. If this is the case, the Irish border remains open and the UK accepts EU regulations on agricultural and other products. Such a situation would be opposed by many people, who are keen that the UK has a less close trading relationship with the EU. Typically, they argue that the UK has a balance of trade deficit with the EU and a growing export relationship with Asia, which could be enhanced through new free trade agreements with Asian countries. Another argument is that a ‘no deal’ is likely to lead to fewer EU nationals living and working in the UK. One recent opinion poll put public support for this position at 28% if May’s withdrawal deal is rejected by the House of Commons. (Around 40% of those asked would then prefer to remain in the UK.) But what would a ‘no deal’ look like? Perhaps the best known critics of May’s withdrawal agreement are her own Conservative Party colleagues in the European Research Group (ERG), now often referred to by the BBC as ‘a party within a party’. The ERG, led by Jacob Rees-Mogg, does argue for a trade deal, implying that its antagonism is towards a possible political deal for a close future partnership. It wants the UK to be unimpeded in making global trade agreements, border controls and immigration policy. Under the ERG’s proposed ‘super Canada’ agreement, there would be “preferential reciprocal access” between the UK and the EU markets, with zero import taxes on imports and exports and access to the single market. However, ‘super Canada’ would not require the UK to accept all EU regulations and so would not resolve issues around the Irish (or Dover-Calais) border. Moreover, ‘super Canada’ requires a negotiated trade deal, which seems incompatible with the UK crashing out of the EU with a ‘no deal’. The Institute of Economic Affairs (IEA) is one of the UK’s best known think-tanks and it has published ‘Plan A+: Creating a Prosperous Post-Brexit UK’ - also with the backing of Rees-Mogg. Its proposals include the UK joining the Cairns Group of agricultural nations. The current 19 members include Argentina, Australia, Brazil, Canada and New Zealand, which share an objective of liberalising agricultural trade internationally. Specifically, they want “deep cuts to all tariffs” and the elimination of “trade-distorting” domestic subsidies and all export subsidies. The IEA argues that the EU is protecting large European corporations (and, by implication, farmers) from international competition. Another vocal ‘no deal is better than a bad deal’ group is Economists for Free Trade which is led by Professor Patrick Minford, who was influential with Margaret Thatcher as a Eurosceptic, firm monetarist and advocate of the poll tax. He argues that Brexit can generate UK economic growth of 6.8% a year. “’Hard Brexit’ is good for the UK economically while ‘soft Brexit’ leaves us as badly off as before. ’Hard’ is economically much superior to ‘soft’,” he says. Economists for Free Trade want the UK to focus on exporting to Asia, reduce regulation, lower taxes, reduce the minimum pay rate and end food subsidies, i.e. the Common Agricultural Policy. This, they say, would lead to lower food costs as the UK would increasingly rely on internationally sourced agriculture and also cut housing costs from lower land prices as more farmers leave the industry. A similarly radical approach comes from a new right wing think-tank, the Initiative for Free Trade (IFT), which is led by one of the most vocal voices in the Brexit referendum, Conservative MEP Daniel Hannan. “IFT makes the intellectual and moral case for free trade, and sees Britain’s withdrawal from the European Union as a unique opportunity to revitalise the world trading system,” says the think-tank. It adds that “the Ideal Free Trade Agreement... provides for the elimination of tariffs as quickly as possible on as many goods as possible and to the lowest levels possible.... It should open all services markets without exception to competition from providers of the other party.” This has led to anxiety about the prospect of opening-up the NHS as well as agriculture to international competition. 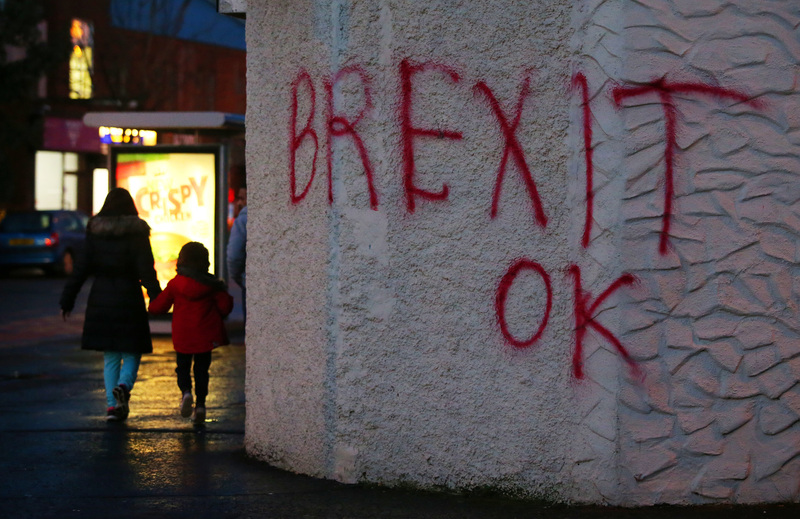 Another group engaged in the debate is called Briefings for Brexit, backed by Professor Graham Gudgin, a former special adviser to David Trimble when he was First Minister. Its most recent report is titled ‘No Deal Is No Nightmare’. This argues that ‘no deal’ would allow continued frictionless trade with the EU, as well as the rest of the world. There are common themes to the proposals from groups advocating moves towards a more free trade position, particularly in moving away from agricultural subsidies. This could reduce food and land costs, but reduce the number of farmers in the UK, particularly in Northern Ireland, while raising issues about food regulation. Another concern would be international service companies bidding to run NHS hospitals. Given the widely held opinion that too many people voting in the Brexit referendum failed to understand the implications of the leave decision, it would be helpful if there was greater knowledge about what a ‘no deal’ outcome could lead to.